Like the Idle No More movement in Canada, the #BlackLivesMatter movement was founded by women. In response to the murder of 17-year old Trayvon Martin in Florida in 2012 by neighborhood watch volunteer George Zimmerman, Alicia Garza, Patrisse Cullors and Opal Tometi issued a call to action for the Black community to address the anti-Black racism that manifested throughout the trail, one that seemed more interested in placing Trayvon on trial for his own murder, and that permeates throughout society. The #BlackLivesMatter movement gained international attention following the killing of Michael Brown in Ferguson, MO, where they helped raise the issue of police violence and brutality and its impacts on the Black community both historically and currently. 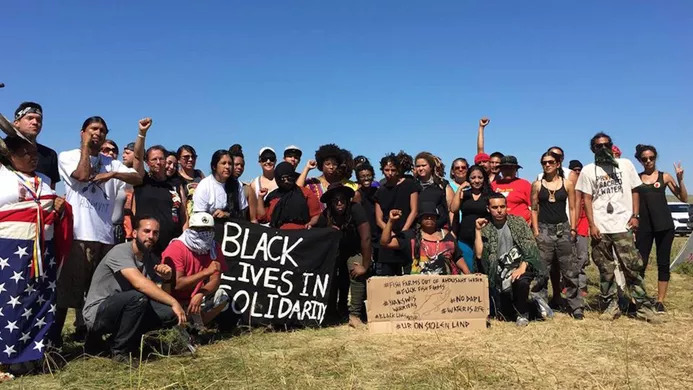 Also, like the #IdleNoMore movement, the #BlackLivesMatter message spread globally via savvy use of social media and on-line networking as localized protests and demonstrations under the banner Black Lives Matter began appearing in cities and towns across the nation. As a Lakota, as an Indigenous person, I fully support the organizing efforts and messaging of the Black Lives Matter movement. With the wave of attention on the issue of police violence, Native communities were able to draw attention to high rates in which Native peoples are also killed by the police. On a per capita basis, Native peoples are the most likely to be killed by the police. More broadly, the message that “Black Lives Matter” is one in which resonates within Native communities, in that we understand the pain, anger and frustration that comes with feeling our lives are somehow less than others, especially when coming to being victims of both state sanctioned and white supremacist violence. In the aftermath of the Wounded Knee massacre, where over 300 unarmed mostly women, children and elders were murdered, the U.S. government awarded 20 soldiers the Medal of Honor the highest award that can be given to military personal. For decades, Lakota activists have worked to have those Medals of Honor rescinded, but to no avail. To not rescind the Medals of Honor affirms the 500 year colonial narrative that not only is the only good Indian a dead Indian, but that our lives simply do not matter. During the height of lynching’s throughout the South, a time period in which thousands of Black men were murdered, hoards of White people would picnic around the body of a hanged Black man. The concern over the rampant injustice of murder being committed did not matter to the crowds as the life of a Black person did not matter to them. Since 1492 for Native peoples and since 1619 for peoples of African descent, history is rich with horrific and barbaric acts of sheer brutality at the hands of the European colonizer, settlers, and later US citizens. From mass rapes, torture, lynching’s, murder, and enslavement to the restricting of movement, employment and racial classifications, Native peoples and peoples of African descent have endured a constant state of being looked, and acted, upon as being less than. The fact that over the course of the past decade thousands of Native women across Turtle Island have gone missing or murdered, and that more Black people are incarcerated today than were enslaved at the height of slavery, and that these issues receive little to no attention let along national outcry, not only suggests, but affirms that neither Native peoples or Black people’s lives matter in the eyes of the colonial settler society. Reservations and the inner-city have long being the nations dumping grounds and areas designated for the citing of hazardous and toxic waste facilities. In doing so, generations of Native and Black peoples are being born into and living lives crippled by negative health outcomes such as higher rates of repertory illnesses, cancers, and lowered life expectancy. Again, our lives and our children’s lives are affirmed as not mattering when local, state and federal agencies allow for corporations to pollute our communities despite knowing the negative health outcomes in doing so. Unemployment in the Black community ranges between 11%-19%, in some inner-cities unemployment for Black youth runs as high as 40%. On reservations unemployment runs between 40% to a staggering 90%. Native peoples living in cities fair little better. Much attention and policies were enacted to address the impacts of the recent global recession. The attention and policies though rarely, if ever, addressed the crippling unemployment and poverty impacting Native peoples and the Black community. Does unemployment and poverty only “matter” when it impacts peoples of European descent? Years ago, while presenting at a workshop on undoing racism, a fellow panelist and I were discussing the ways in which internalized racism manifests itself in our communities when she remarked to me that, “Blacks commit homicide, Natives commit suicide.” A blunt and stark, yet true observation that the legacy of genocide, land theft, programs of assimilation, slavery, segregation, lynching’s combined with the current issues of environmental racism, police violence, mass incarceration, and efforts of dehumanization has embedded the belief not only to the boarder settler society, but deeply within ourselves, that our lives do not matter. 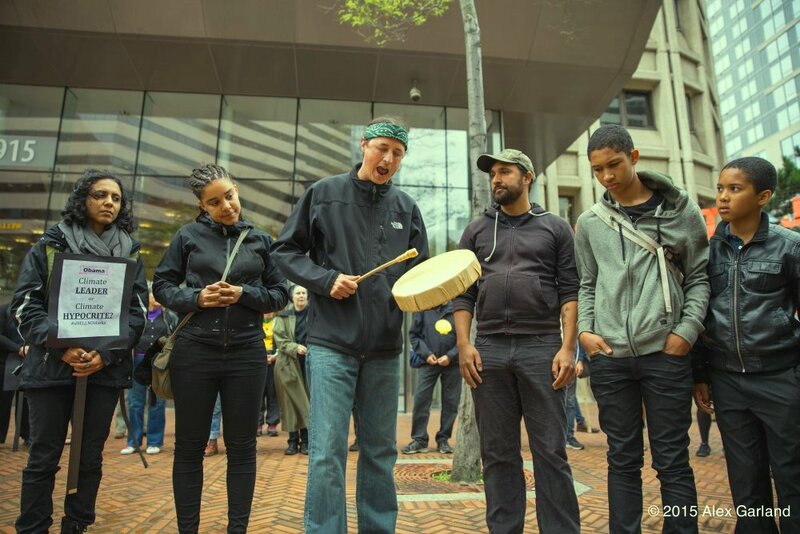 Settler society reacts swiftly and often violently whenever our respective communities rise up and confront issues from police violence and violations of treaty rights, to demanding that we are not customs or mascots to addressing the impacts of environmental racism. We are shouted down with statements like “all lives matter”, or “you should be honored”, or “we are all human”. 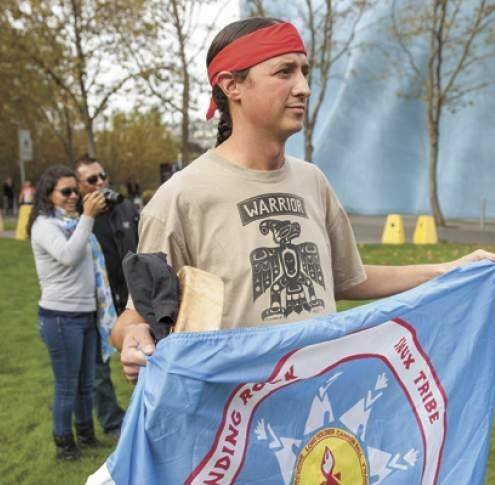 For our communities, we must understand and accept that the goals of the colonial settler state today, are the same goals of the colonial settler state of yesterday, which is to remove Indigenous populations to access their lands and resources, bring in low wage to slave labor to work those lands accessing the resources in order to benefit the colonial settler elite. This narrative is a global narrative. Our struggle is not one to have equal rights with the colonial elite, but rather to (re)live as children of earth who understand that we are connected and related to all of creation with defined roles and responsibilities to that of all creation. Original instruction. We live, so that all may live. To those of African descent, yes your lives matter, as do your homes, communities, children and children to come. It is upon us to stand together as peoples with a shared history of oppression in this colonial settler state called “America” so that our relatives know, see, feel, and understand that they are loved, that they are beautiful, and that they matter. This entry was posted in Tribal Leadership and tagged Black History month, Black Lives Matter, Last Real Indians, LRInspire, matt remle by lrinspire. Bookmark the permalink.